On June 27th, 2018 the Centers for Medicare and Medicaid Services (CMS) announced that they are reconsidering the National Coverage Determination (NCD) for transcatheter aortic valve replacement (TAVR). TAVR is a minimally invasive alternative to open heart surgery for many patients who need a new heart valve. 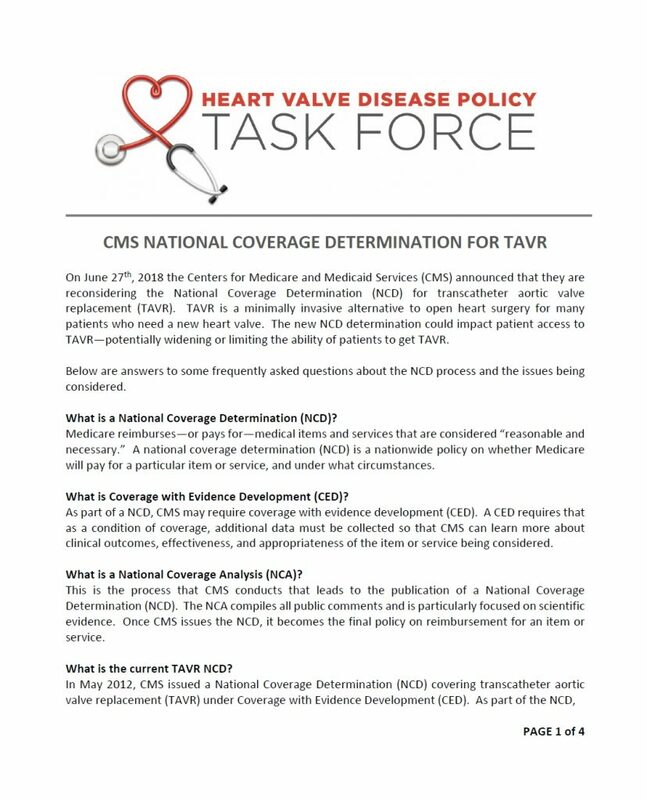 The new NCD determination could impact patient access to TAVR—potentially widening or limiting the ability of patients to get TAVR. This document answers some frequently asked questions about the NCD process and the issues being considered.